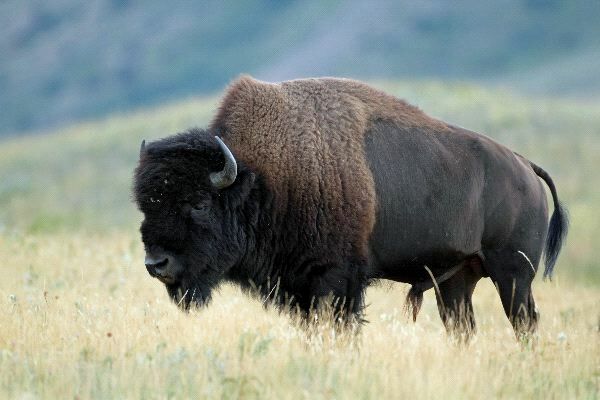 The largest terrestrial mammal in North America, the wood bison is a dark brown bovine animal with a large head, a high hump on its shoulder, which is covered with long shaggy hair that extends to the front legs. 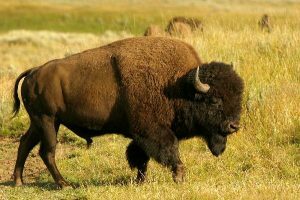 The horns are short and black and tend to curve inward for the males, while being straight in females. Diet Grazing on grasses, sedges and forbs. Summer diet includes silverberry and willow leaves. Adaptations Calves can stand within 30 minutes of birth and can run and kick hours after birth in order to ward off predators. 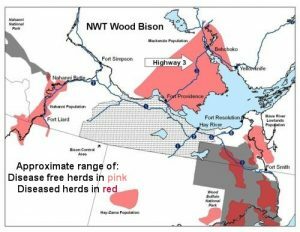 Diseases and Parasites Anthrax, brucellosis and tuberculosis. 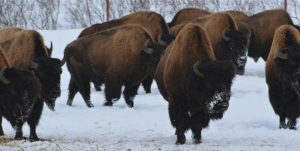 Female wood bison and their calves live in herds of 20 to 60 members. Adult males tend to live in smaller groups separate from the bigger groups of females and calves except during the mating season during the late summer. They are very protective of one another. A female wood bison reaches sexual maturity at 2 years of age and can produce her first litter by age 3. 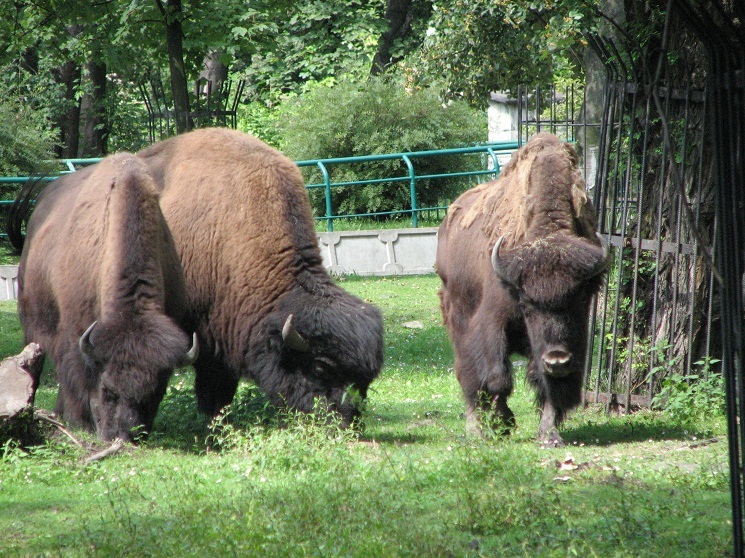 Their mating season starts from August and extends till around October. 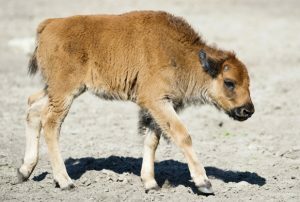 It would generally bear the calf for at least 9-10 months, and give birth during April-August. 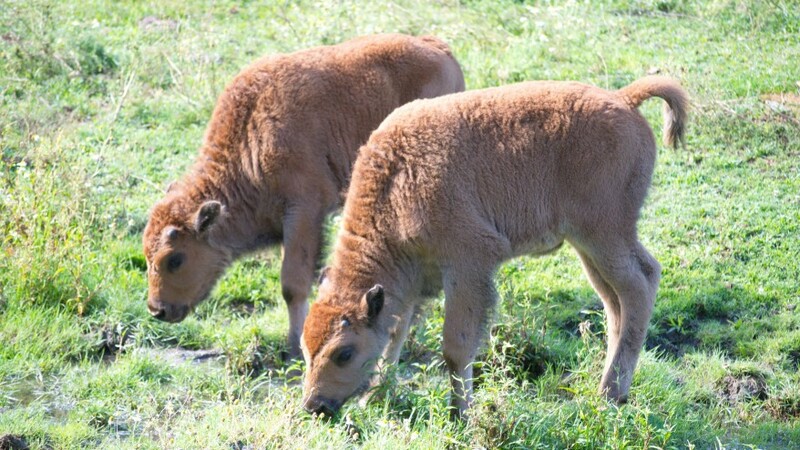 They generally give birth to a single calf, although have been known to produce twins on rare occasions. Calves are born with a red coat, which starts to darken by the 10th week, gradually culminating in a dark brown shade by the 15th week of their existence. 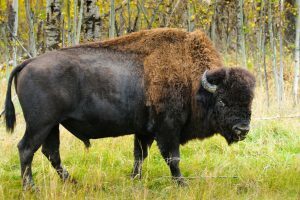 The wood bison had actually been extirpated from Alaska and become endemic to Canada until they were reintroduced in the Alaskan boreal forests. 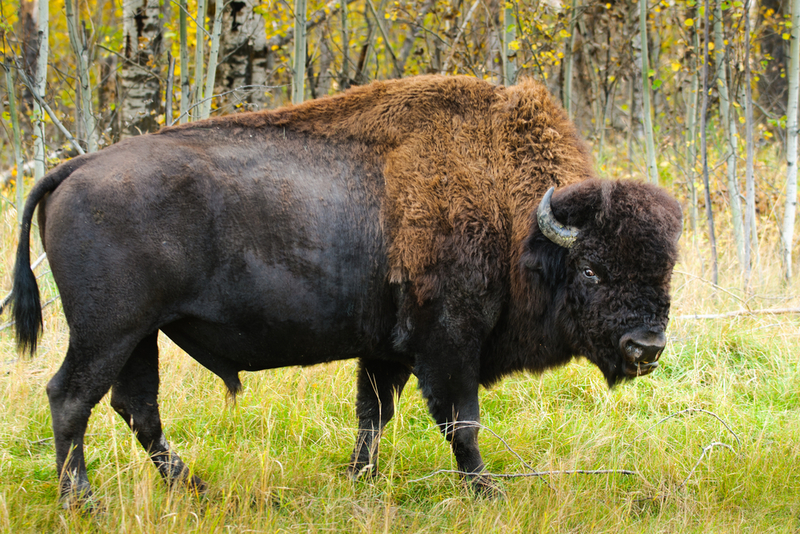 In spite of having a home range, wood bison migrate to greener meadows during seasonal changes. In 2006, a herd of wood bison was established in Yakutia, Russia, where its relative the steppe bison became extinct over 6000 years ago. Published on May 25th 2016 by Sudipto Chakrabarti under Coniferous Forest Animals. Article was last reviewed on 9th February 2017.